This wedding minister has officiated wedding ceremonies throughout Los Angeles County and Southern California for several years. 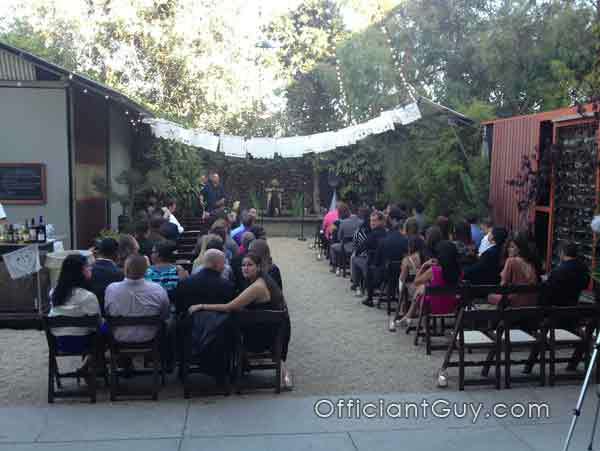 I have had the honor to officiate every possible kind of wedding at almost every available venue in Los Angeles. I’ve been the wedding minister for religious wedding ceremonies, civil weddings, and spur of the moment elopements in countless Los Angeles wedding venues. 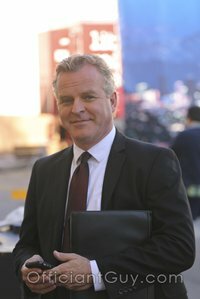 I recently was re-introduced to a wonderful and unique wedding and event venue just north of downtown Los Angeles called the Huron Substation. The Huron Substation is listed as a Historic-Cultural Monument by the Los Angeles Cultural Heritage Commission. The structure was built in 1906 as the Los Angeles Railway Huron Substation. It once supplied electrical current used by the L.A. Railways “Yellow Cars” providing urban transportation for many years. 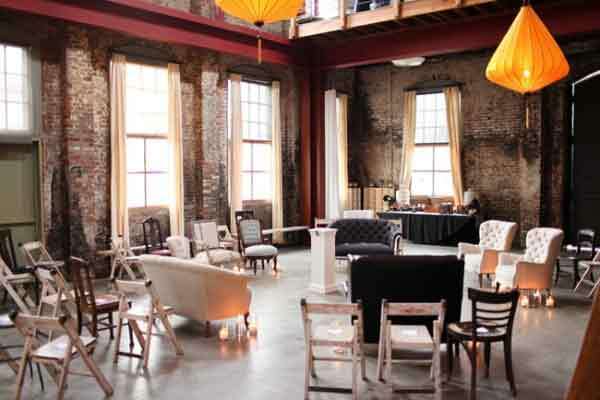 It is now a gorgeous and sophisticated wedding and event venue. The structure incorporates century-old brick walls, arched windows and steel beams that, when combined, bring you back in time to early Los Angeles. The garden is landscaped in a beautifully subtle way with an industrial deco fountain and an intimate setting that can accommodate over one hundred guests. The amenities available at the Huron Substation include 200 amps of power, 45 foot high ceilings with skylights, a plexiglass bar, and an eight-foot-wide circular Chandelier on an adjustable winch. 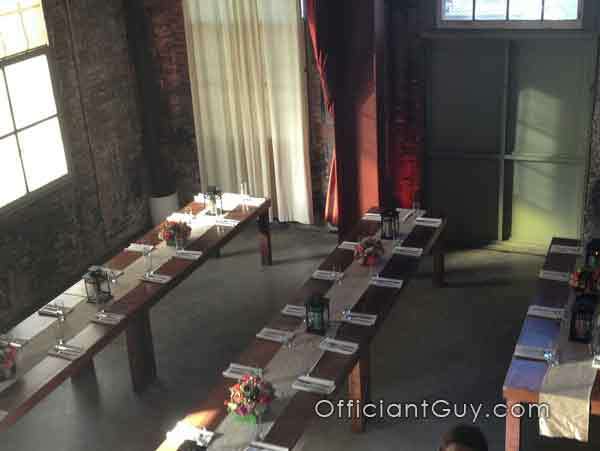 Also available to rent are outdoor propane heaters and a Chuppah made of Alder. If you seek a great and unique Los Angeles wedding venue you should consider the Huron Substation for your wedding day. And if you desire the best and most experienced wedding minister or wedding officiant in Southern California then click here. If you would like to have a wedding ceremony anywhere in California, get in touch with the top officiant. 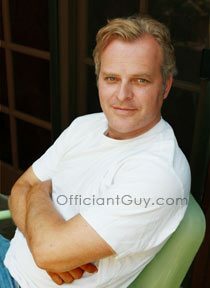 Officiant Guy has been a wedding celebrant for over 20 years. Chris has helped couples from all over the world marry, and has gained the trust of many partners because he is a specialized notary, as well as a great guy, and an attorney at law.